This 12-year old C. japonica chance seedling first bloomed in 1998. 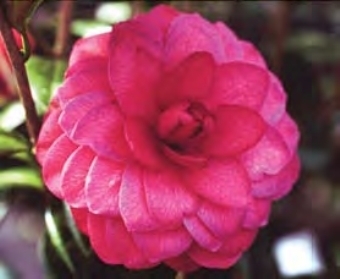 The 4.50" x 1.50" deep rose red formal double flower falls in one piece and is a profuse bloomer. Plant is spreading with average growth rate.